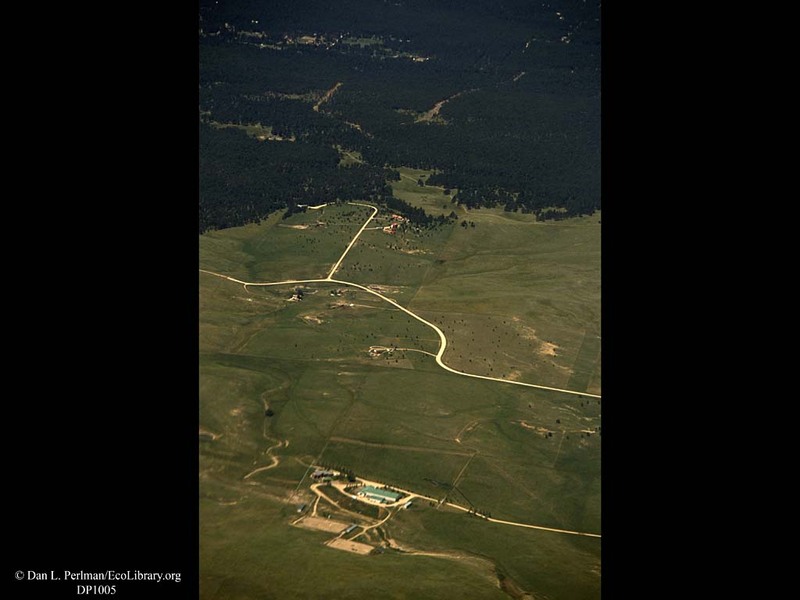 Urban sprawl reaching out from grassland toward forest, Western USA. The road cutting through the grassland now reaches into the forest. It is hard to say what this region will look like in a few years.